Home > News > Let the judging begin! A month ago we asked you to design a new adreno t-shirt for us and we had an overwhelming response with a collective 52 different t-shirt designs submitted from over 20 talented artists. The Adreno spearfishing Facebook page saw the most entries with 37, while our scuba diving Facebook page received just under half that with 15 different entries which was expected as we have less followers on that page. With so many great entries Adreno staff now have the difficult task of picking one winner from each page. That's right we're picking 2 winners...one spearfishing t-shirt and one scuba diving t-shirt, both of whom will win an awesome Beuchat Wetsuit and have their design printed on actual t-shirts and made available on the respective websites www.spearfishing.com.au and www.scubadiving.com.au! As we have such a hard decision ahead of us we've decided to enlist the help of an esteemed panel of experts to help make the decision, you guys! We really want to see what our fans Like as it might really help us with our decision. 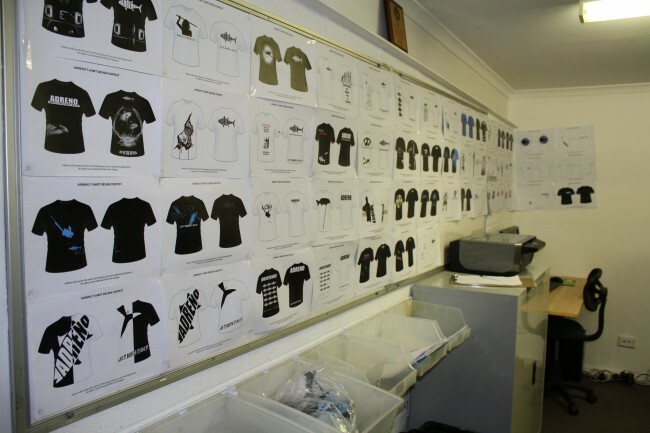 Make sure you Like and comment on your favourite designs in the actual T-shirt Design Competition folders. The speafishing one can be found here and the scuba diving one here. Keep in mind the final decision rests solely with Adreno, although we will definetly take into account what our fans Like which is why we are asking for your help. Also if you like certain parts of a shirt, but maybe not others, then tell us in comments. Winners will be announced Friday so hang tight and good luck everyone that entered.